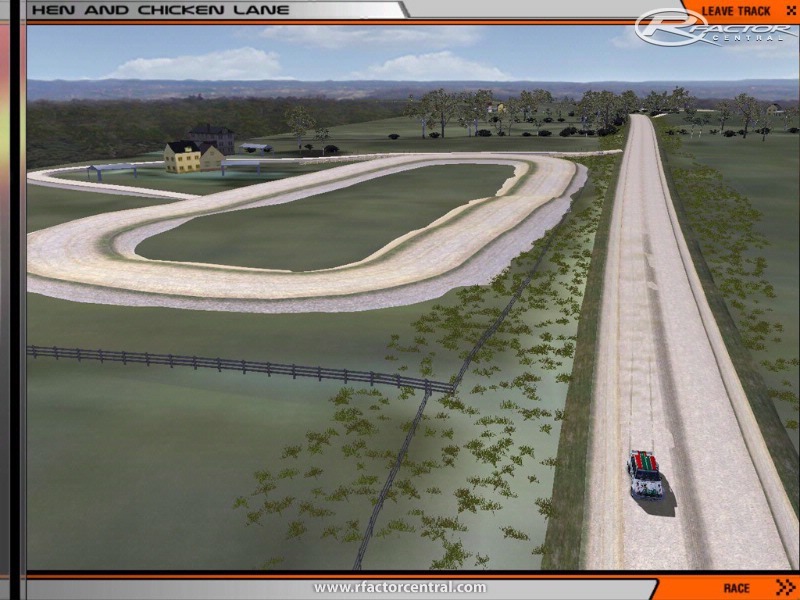 Hen and Chicken Lane, Bathurst, New South Wales, Australia. 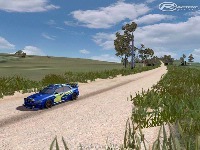 Typical Club Level Gravel Special Stage in Australia. 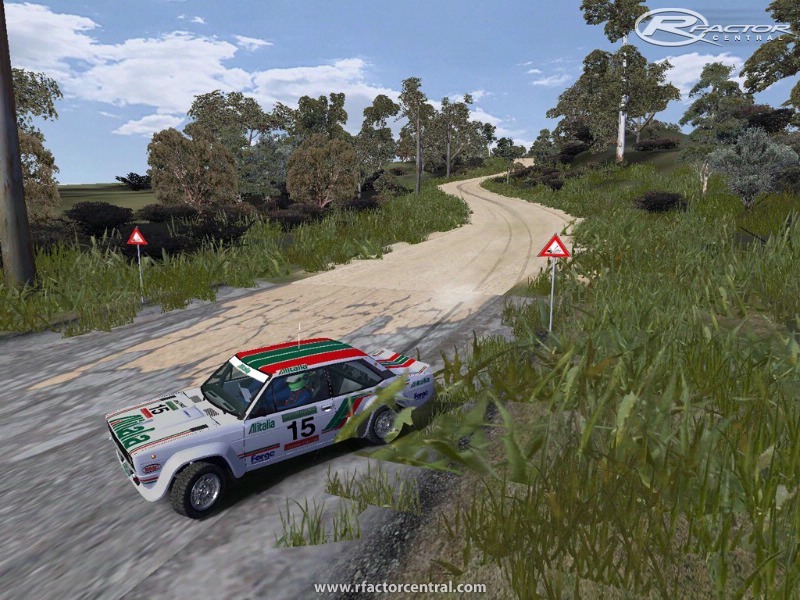 Further info: This stretch of Rally heaven runs from the Bathurst-Goulburn road near Perthville to the Bathurst-Blayney road, running behind Mt Panorama. From the start the road climbs with a rapid series of curves to a high point about 1km from the start. 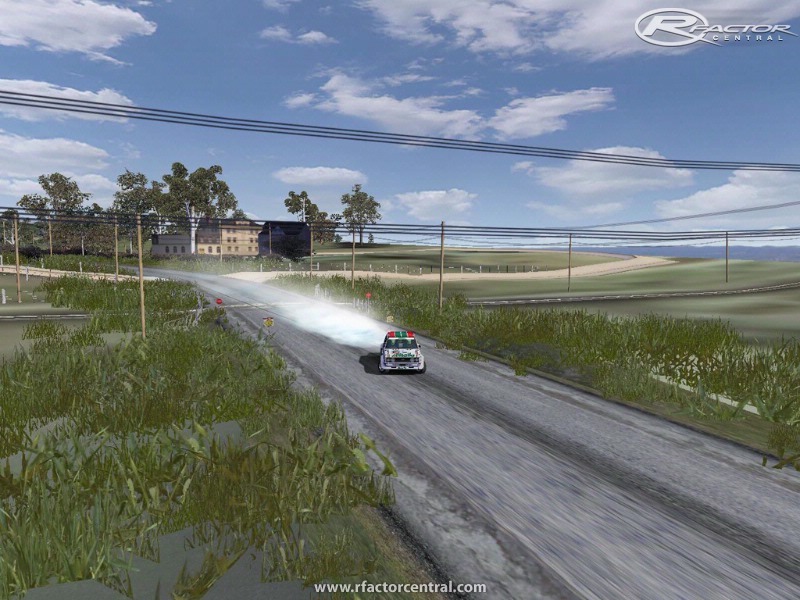 This section demands accurate throttle control, particularly with higher-powered cars, but if done correctly it is a succession of exhilarating controlled slides and drifts under power. 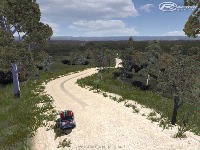 From the high point of the road, there are some good lengths of straight or gently curved road to the finish near the Blayney Road. Speeds here can be very high, one of the fastest sections of road the club regularly uses for rallies, and many cars have exceeded 200kph on this section. 1990: Rod Jones and Mark Blume VR4 133.74kph. an extraordinary achievement for a two-wheel drive car. Deceptively peaceful... Hen and Chicken Lane has been described by competitors as being the best stretch of rally road in Australia. There are currently no setups for Hen and Chicken Lane. Add a Setup. I have tried to load this track for a 'Race Weekend' since 2009 with different machines but I never got succeed, so I play it on 'Testing' what is enough to me, since it is like a stage rally what is more important is to race against the clock. I'm using a i7 2600k and GTX 560 with 8 GB of RAM in Windows8 x64. all this crap about low res texture patch and dx8 to get it to run is BS! i have been on a high end rig for each year since release of this pos. it has never loaded for me on any install, fresh, lite, portable......nothing. now im on an intel quad core i7870, gtx560ti, and 8gigs of ddr3 1866 ram. still the same BS! the loading bar acts like it is going to complete and then the game crashes with some error on both directions of the track. dx7,8,9 , with or without the patch.......BS!!!!!!!!!!!!!!!!!!!!!!!!!!!!!!!!!!!!!!!!!!!!!!!!!!!!!! over two years i have tried to get this to work. Otherwise its a great track going by what i have driven of it so far! Suits the new RWD rallycross mod by Madcowie just nicely. My problem is, i get to were you press race, but it wont click on anything, it just hangs. I also am having a problem loading the track. I have a Duel Core 3.0 Intel CPU & Nvidia 9400Gt graphic card. XP(SP3). Have put all display details to minimum and only one AI car (maybe I should boot that out too?). Have tried the low rez patch also by just placing in folder. Also tried putting patch in the .MAS file but nothing works. Just like ninja101, loading bar gets about 3/4 along & stops until Windows finally comes up with an error dialog screen. Have also tried DX7/8 & 9. No joy here. Any help welcome. Awsome work m8 lovin it. Ok if it didnt load without lowrez textures you might have a fairly low end video card? in which case either try turning track detail down to low (visgroups have been applied to certain objects to remove them for low settings), and/or try dx8 mode (run rF Config.exe in rfactor folder and switch to dx8) see how that goes mate. First off, I'd just like to say good job with the track, even though I haven't had a chance to try it. Originally, I pondered why it didn't work, until I saw your tip of applying the Low Rez patch. That worked. Sort of. It gets 3/4 of the way up the bar then instead of giving an error, (because I'm using XP not vista) "rfactor.exe has encountered a problem and needs to close, we are sorry for the blah, blah, blah..."